Domaine Henri Clerc et Fils was founded in the very centre of Puligny-Montrachet back in the 16thcentury. 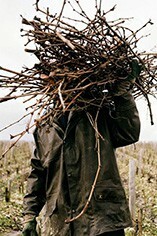 In 2002 the incumbent Clerc, Bernard Clerc, resigned, and while some of the 11 hectares of vineyard were distributed amongst family members, a large portion were bought by Vincent Girardin of Pommard. The wines are therefore now made and matured at Girardin’s modern winemaking facility near Meursault. The current vineyard holdings include land in three Grand Crus. Girardin and his winemaking team do all their harvesting by hand, before being immediately pressed and then put into tanks for 7 days. The barrels used for maturation are usually one third new, and the wines are bottled around 11 months later for the generic Bourgogne and Puligny AOCs, and around 13 months later for the Premier and Grand Crus. Girardin’s Bourgogne Blancs are notably excellent for a generic white, and the other higher-grade wines are no less deserving of praise.